AllStar has the capability to design stream and wetland restoration projects, and our staff has received thorough training in natural channel design and wetland design techniques. Whether the goal is mitigation, recreation, or streambank stabilization around existing infrastructure, AllStar has successfully completed projects across the region to meet client needs. 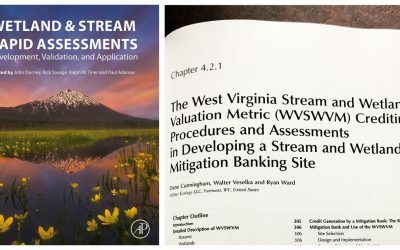 In addition to onsite or offsite compensatory mitigation design and construction, AllStar also operates mitigation banks providing stream and wetland credits to north central West Virginia. AllStar also has additional mitigation banks in development around the region to meet the needs of future clients. AllStar is a licensed General Engineering and Excavation Contractor (WV046329) specializing in stream and wetland restoration projects throughout the Mid-Atlantic region. AllStar also constructs outdoor recreation related projects such as trail heads and primitive sanitation facilities. AllStar Ecology invests heavily in employee training, especially relating to stream and wetland restoration. AllStar employees have been trained by leading experts in stream and wetland restoration including Wildland Hydrology, Stream Mechanics, Wetland Restoration and Training, The Swamp School, and the Midwest Biodiversity Institute. By providing top-notch training and professional development opportunities, AllStar staff are equipped with the most up to date skills and knowledge to perform at a high level of excellence. AllStar also encourages employees to seek professional certifications in their field, and as a result, the company has Professional Wetland Scientists and Certified Wildlife Biologists on staff and ready to provide the highest standard of service to clients. AllStar has completed numerous stream and wetland projects in the region with a focus on habitat enhancements for various species including waterfowl, fish, bats, and reptiles. These projects have occurred on both private lands and public lands such as wildlife management areas owned by West Virginia Division of Natural Resources. 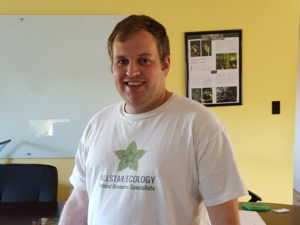 Ryan Ward is an owner of AllStar Ecology and has worked throughout the United States on various projects with an emphasis on wildlife research. Mr. Ward has studied in environments in Texas, New Mexico, Arizona, and Oklahoma. He also has extensive regulatory experience throughout the Mid-Atlantic region, especially in West Virginia and Virginia where he is a Certified Professional Wetland Delineator. Mr. Ward specializes in stream and wetland issues including delineation, compensatory mitigation, permitting, natural stream design, and wetland restoration. 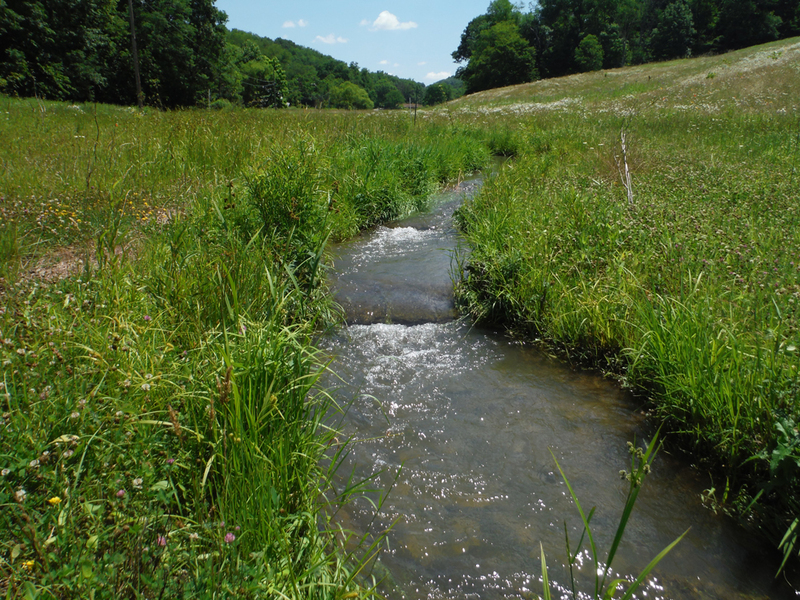 AllStar provided oversight and construction services for a 1,500 ft stream restoration project along Grave Creek in Marshall County, WV. Natural stream design components included log and rock sills to promote stable riffle and pool areas. Toe wood was installed to increase habitat availability and prevent bank erosion on outside bends. Floodplain grading was completed to promote the formation of wetlands. 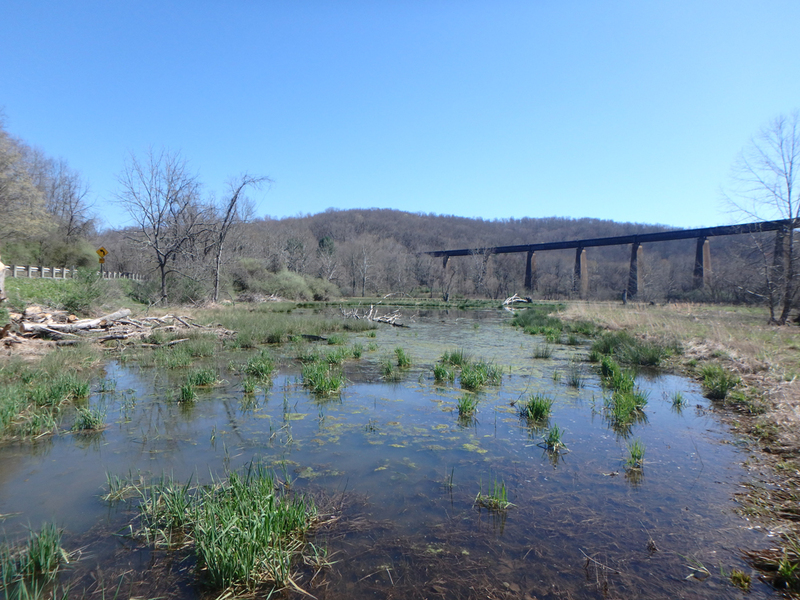 AllStar completed site design, permitting, and construction oversight for a four acre wetland restoration area at the Pleasant Creek Wildlife Management Area in Barbour and Taylor Counties, WV. The overall goal of the project was to provide waterfowl habitat and increased hunting opportunities. 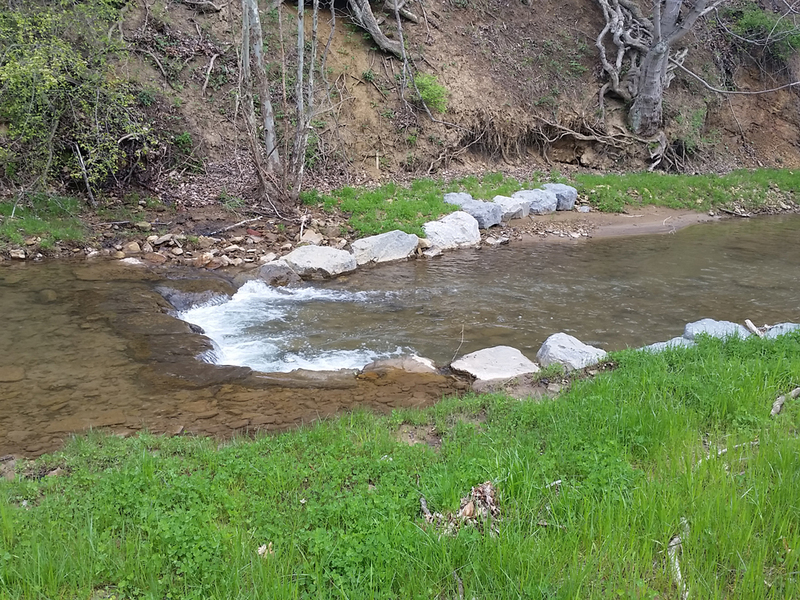 AllStar conducted oversight and construction services for a stream restoration project on Aaron’s Creek in Monongalia County, WV. Eleven rock cross vanes were installed to stabilize 800 feet of the stream and prevent bank erosion. Stream banks were contoured, seeded, mulched and planted with live stakes.